Tis the season to be jolly! Or is it? The time of year is near where holiday songs are being sung, and lights and other decorations are being hung. However, before you start decking the halls – you may want to check your association’s rules for spreading the holiday cheer. Not all communities are keen on holiday décor. 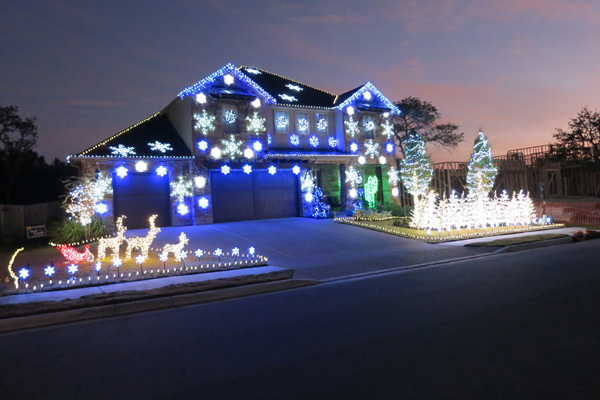 In fact, some communities ban the use of inflatable snow globes and over excessive lights. The best way to know your community’s position on the matter is to start by asking if there are any rules or policies in place for holiday decorations. If your neighbors don’t know, find a board member or certainly the property manager can steer you in the right direction. Unfortunately, some communities can be rather “scrooge-like” and have rules against all decorations. While the Condominium Act prohibits associations from refusing to allow religious objects (not exceeding 3 inches wide, 6 inches high and 1.5 inches deep) from being attached to the mantel or frame of the door, there are some associations that prohibit the placement of any décor whatsoever. Your association may have penalties in place for those wanting to spread merry cheer with lights, nativities and dancing snowmen. Penalties may include a request to immediately remove decorations or may even come in the form of a fine (with notice and opportunity to be heard, of course); it all depends on the rules and regulations set forth in your association’s governing documents and bylaws. If you are wondering whether there are any loopholes to the bah-humbug attitude, perhaps there are, but in order to find out you need to do your research. We recommend that you attend board meetings, check the state laws and review your association’s rules and regulations. And, before you storm into a board meeting fuming with frustration, keep in mind that even though your home is your property, you did agree to a specific set of rules and regulations when you joined the community. It is best to be well informed before you are asked to take down your décor or worse – asked to pay a fine for something as innocent as displaying some holiday spirit. If you are on the board at your community and there are no rules in place for holiday décor, you may want to suggest adopting a policy at the next board meeting, voting on the policy and then distributing the new rules to the membership.